Corporate clients in a wide range of matters, including mergers and acquisitions, entity formation and capitalization, corporate governance issues, shareholder agreements, customer agreements and day-to-day operations. 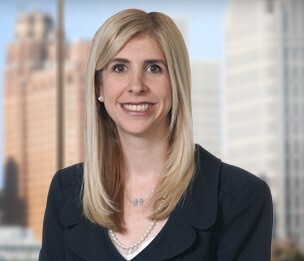 Prior to joining Dykema, Ms. Schostak practiced in New York at Cahill Gordon & Reindel LLP where she focused on representing lenders in complex corporate finance transactions, including acquisition financings, cross-border financings, asset based financings and mezzanine financings. Represented Avante Mezzanine Partners SBIC in financing of the acquisition of Auto Meter, Inc.
"Understanding the autonomous vehicle industry is a complex dance"
The 2017 Proxy Season: What's Up and Coming? Recognized in the Crain's Detroit Business special report, "Notable Women Lawyers in Michigan 2017"